The most widely used stimulant in the world is caffeine. People drink coffee in the mornings to ward off from drowsiness and stay alert all throughout the day. Not just the coffee, caffeine is also found in teas, cocoa, chocolate, and colas. In the 1970’s, studies suggested that caffeine enhances endurance and performance as it increase the adrenaline flow throughout the body. Athletes also believe that adding caffeine before their fitness routines will help to give them an energy boost to augment sport’s performance. It is estimated that around 10% of people in the US consumed 10 cups per day. 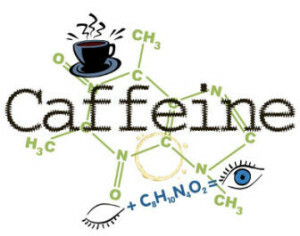 Caffeine gets absorbed in the body and enters the blood stream in about 1 to 2 hours. Generally, caffeine will make your body release extra glucose into your body for extra energy. Studies conclude that caffeine is an ergogenic aid that will deliver many benefits to the athletes. If you are taking caffeine in the researched dosages, that does not cause any side effects; you can really gain better workout performance. Coffee before workouts will use your fat cells to burn and give more energy. When you are exercising, glycogen is used to get energy. Caffeine will slow down the depletion of glyocogen and encourage the body to use more fat burn to fuel the body. Thus you will be burning more fat and conserving more energy for longer routines. A number of studies have indicated that caffeine before exercise will enhance athletic performance. It works as a powerful ergogenic aid. The studies indicated that with the help of caffeine, athletes were able to train longer, or showed greater power output. So if you want an extra edge on your workout performance, coffee might be your answer. 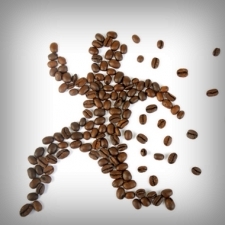 Muscle strains and pains follow intense workouts and to reduce the muscle soreness and aches, coffee can help you out. In a research at University of Illinois, subjects who consumed coffee experienced less muscle pain and were able to perform more reps at higher resistance. With an alert mind, you will have better focus on your workouts. Caffeine, especially through black coffee, will provide with clear mental focus and will keep workouts productive and effective. Although caffeine has found to have profound benefits in improving fitness performance and in facilitating weight loss results, but for some people it can cause serious health downsides. Do not take Caffeine in large amounts and speak with your health practitioner if you are susceptible to its effects.